Vibes master Beres Hammond, dancehall artiste I-Octane and a rising star by the name of Daniel 'Brighter' Gordon created musical magic at Christopher and Maria Gordon's wedding reception at the Tryall Club in Hanover over the weekend. Gordon, formerly of No-Maddz, also joined the amazingly awesome concert, performing for his new bride, in what could easily assume the position of being one of the most entertaining weddings this year. Held at the stunning Stella by the Sea Villa, Beres Hammond entered the stage at just about 10 p.m., and his one-hour set totally mesmerised the intimate audience which waited anxiously for his arrival. It was obvious that the party people who turned out for the wedding were willing to watch their idol, transfixed on stage, not saying a word, while his efficient backup singers, Deja and Dorette Wisdom, took charge. However, the veteran crooner, who is as good as every dollar he charges, serenaded the couple with one of his hit songs, She Loves Me Now. 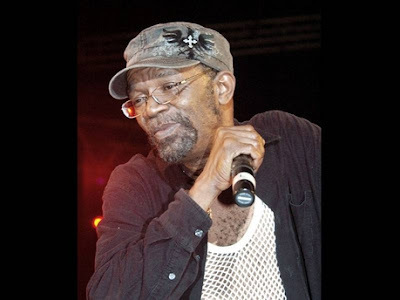 When he pulled for popular personal anthems such as, Come Back Home and belted the words, "I wish you would stay longer," he never even needed to repeat the words, because it is an undisputable fact that Beres Hammond fans will stay with him all night. The words from one of his songs, 'Thought I Could Live Without You', sounded almost like an inappropriate statement, as there was no one at this wedding party that would go home without Hammond, even if it was only the sound of his voice humming in their head. A feel good jam session it was, to the extent that when the vibes master pulled for songs like Double Trouble, and Pull Up The Vibes, it was evident that he had only one care in the world, to satisfy the souls of his audience. Living up to expectations of being one of dancehall's best, I-Octane brought a lot of energy and magnetism to the stage, choosing to have a performance built on conversing with the audience. 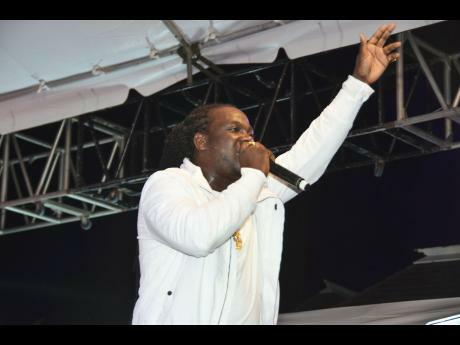 Decked out in all-white, the artiste known for hits such as, Lose A Friend, Buss A Blank and Party Turn Up, performed for a solid 60 minutes, dedicating some of his time to mothers and women in the country. Allowing young Daniel 'Brighter' Gordon, brother of the groom to have his five minutes of fame on stage, the youngster with a voice of gold, did not disappoint. In fact, Brighter, brought immense excitement to the event. His presentation was followed by the unorthodox and extremely talented group that goes by the name NoMadz. Christopher and Maria Gordon, tied the knot late last year and shared the moment officially with friends on Saturday.